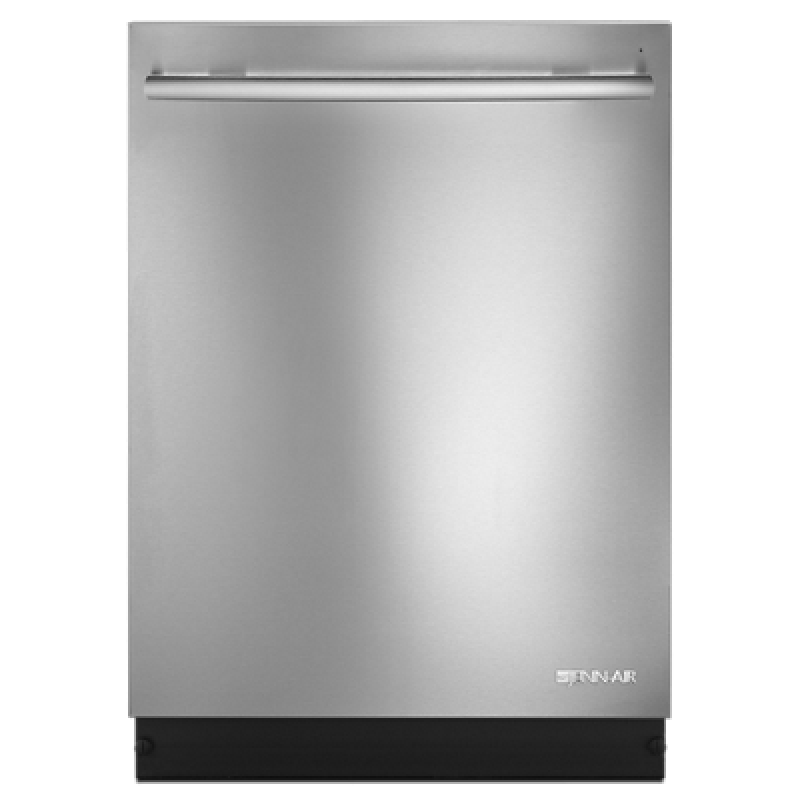 At 38 decibels, this TriFecta dishwasher is the quietest offered by Jenn-Air. This dishwasher can connect with in-home WiFi to provide remote control through an app 1 , available to download for use with either iOS or Android devices. Our quiet TriFecta dishwashers emit a distinctive tone to confirm selections or keep you informed about the wash cycle's progress. Non-warning tones can be disabled, if desired. An evaporative drying option on all Jenn-Air(R) dishwashers. This dishwasher allows the use of custom specialty wash cycles from an app, available for either iOS or Android devices 2 . Selectable cycles include Gentle, Heavy, Specialty Items, Sanitize Wash, and Quick Wash.
Jenn-Air(R) TriFecta dishwashers are more energy- and water-efficient than standard dishwashers, exceeding minimum federal ENERGY STAR(R) efficiency standards by at least 10 percent and helping to conserve natural resources. A refined design that satisfies contemporary and traditional tastes and blends in with other Jenn-Air(R) Euro-Style Stainless appliances. Interior racks feature the Jenn-Air(R) exclusive Obsidian black color. Express commercial styling and gourmet sensibilities with diamond-etched handles, stainless steel finish and an oversized badge, matching other Jenn-Air(R) Pro-Style(R) Stainless appliances. A selectable cycle - the most advanced and versatile offered by Jenn-Air(R) - that calibrates your dishwasher to use the optimal wash cycle to clean your dishes based on load size and soil level. Fold-down clips that hold stemware securely in the upper rack during washing. A premium system with a strong, stable and adjustable upper rack that glides smoothly on high-end rails, each featuring 52 ball bearings. Folding shelf on the upper rack that provides an added tier for extra coffee cups or keeps delicate stemware secure for optimal cleaning.